I had nothing to do at home, but watch 4 DVDs. One of them was a very impressive movie. I know it was a very old movie, but i then realized that i should have watched it even earlier. The movie is "Minority Report" by Speilberg. Hope you would have seen this movie, and if you have not.. heres the suggestion. Buy a DVD player, and a DVD of Minority Report and watch it twice. Its so good. I did a lil bit of travel yesterday to Cuddlore on the beautiful ECR Road. This one is a beautiful travel road, where the Gods say "see all the readings your speedometer can go !!". But watch it, the road is very narrow and the curves are so deadly. It took me 1 hour and 30 minutes from Anna Nagar to Thiruvanmiyur, and 2 hours from there to Pondicherry. 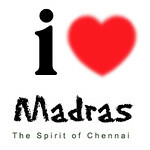 Its only travelling inside Chennai, giving headaches. Did you see The Hindu yesterday, with alternate pages having Messages from the Kanchi Mutt. Thats a very good and healthy move by the Mutt, and it was very very essential. But i think, the Mutt should have moved a even further. Whoops ! Im not saying anything until afternoon. Mumbai Express is Kicked off, and the Project is out for Tamil New Year for sure. Its supposed to be a family entertainer, with laughters rolling around. "It is a laugh-a-riot movie and hopefully the viewers will enjoy it," Kamal said to an interview to "The Hindu". I feel, Kamal's hopes are always a mystic feeling. Let's see. BUZZ ! The following is Important if you are in chennai. Wow!! The snap looks too good.. that too with your template.. huh..
only VHS was available, athum Coonoor la irunthapo than paathen!